At the Yarra Valley Dog Resort we provide first class accommodation for our dog guests in protected enclosures with runs that suit their size and personality. The Yarra Valley Cat Resort is a home away from home for all discerning felines. At our cat resort, we offer lots of affection, cuddles and one-on-one chats. 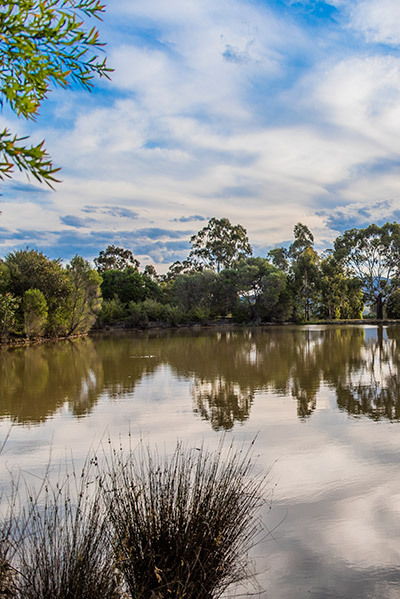 Situated on 18 glorious acres of pristine countryside and located only 20 minutes from Lilydale, the Yarra Valley Pet Resort is the ideal holiday destination for your pet accommodation needs. Designed to give your dog a wonderful, safe and playful holiday and for your cat to have a luxurious, homely and restful time basking in the dappled sunlight with lots of love and attention, your pets will have the 5-star treatment they deserve at Yarra Valley Pet Resort. 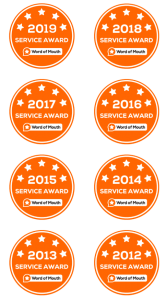 As an Award-Winning Dog Boarding Kennels & Cattery, we are delighted to care for your pets during your holiday or while you are away at work – we’ve been presented with the “Service of the Year Business Award” for seven consecutive years! Paul and Julie have spent many years since taking over in 2003 improving and redesigning the accommodation and pay areas within the resort, so your pets are guaranteed to have as much of a fabulous holiday as you! At our family run boarding kennels, each of our dog guests have their own spacious individual run that suits their size and personality, as well as a separate clean, warm and enclosed sleeping area with optional heating pads available for that extra touch of luxury. 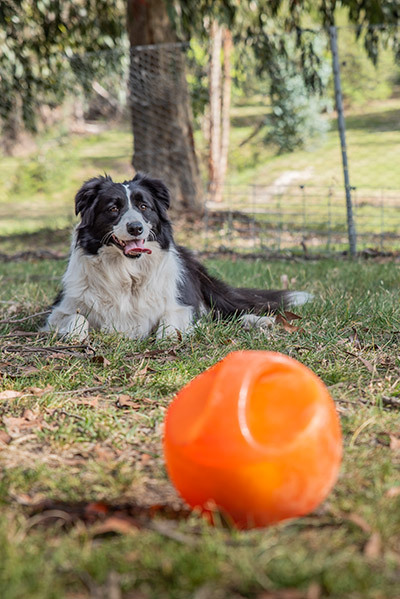 Our dog guests instantly become a welcome member of our extended family at Yarra Valley Pet Resort with lots of cuddles, outdoor playtime and exercise (at least 3 to 4 hours in one of our 20+ exercise yards) to make their stay with us truly memorable. We also provide optional daily nature walks, so our dog guests can sniff and explore to their hearts content, and along with our one-on-one playtimes, hydro baths and nail clipping services, our dog guests have an awesome holiday at our Yarra Valley Dog Kennels! Our cattery is perfectly designed to give our feline guests the holiday they deserve and, if they could, would choose for themselves! Each cat has a fully air-conditioned and heated multi-level pen with a cosy sleeping box, padded mattress and hand crocheted rug for extra comfort. The gardens that surround our cattery are a bird lovers paradise, so our feline guests are never bored! Most of our feline guests spend their time snoozing, watching the birds in the garden or stepping out into our central cattery area where they have scratching posts, toys and soothing music. They also have the option to sit out on out fully enclosed sunny verandah, which makes for the perfect spot to watch the world go by. If you are looking for accommodation for your cat or dog that is clean, modern and spacious where your pet will be treated like a member of the family, you can’t go wrong with Yarra Valley Pet Resort – call us on 03 5962 5253 or send us an email. Our dog boarding kennels are sized and equipped to accommodate dogs of all sizes and breeds. Your dog will be housed in an individual run, the size of the run varies and is determined by the size and requirements of your pet. There is a separate enclosed sleeping zone at one end which contains a comfortable stretcher bed with the option of a heating pad. Our Melbourne Cattery is like a home away from home with a cosy home like atmosphere, music and of course lots of toys. 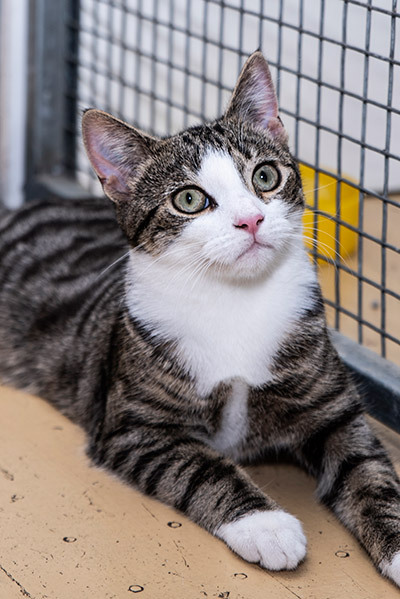 Your cat will be housed in a small heated and air conditioned cattery with individual multi-level pens which can accessed via ramps and steps. Each cat is provided with a small padded mattress and handmade crochet blanket in their cosy sleeping box. Amazing staff, they really care for the animals. My dog gets excited every time we arrive there. Great value too. Our two fur babies love going to Badger Creek, the staff are amazing, we have been going there for 10 years or more 🙂 Wouldn’t go anywhere else!